At New York Comic Con 2018, DKE Toys will be releasing the fourth resin figure set in Scott C’s epic The Great Showdowns Series! The Great Showdowns are a series of paintings, art shows, and books depicting classic pop culture good guys and bad guys. 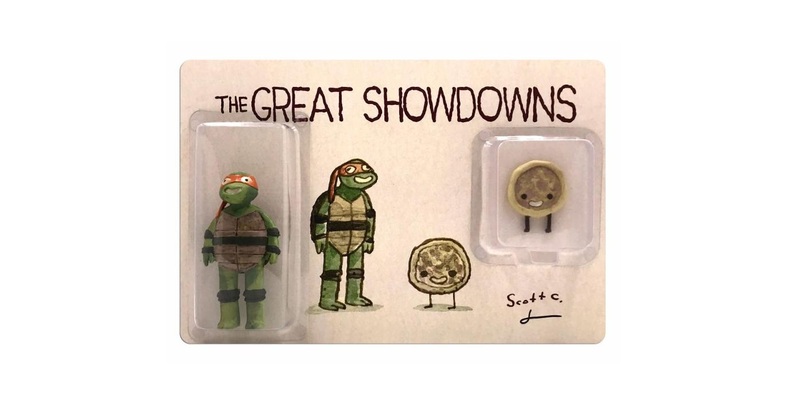 For this release, Scott C has teamed up with George Gaspar of Double G who sculpted these awesome Teenage Mutant Ninja Turtles figures of Michelangelo and a pizza in Scott C’s signature art style. 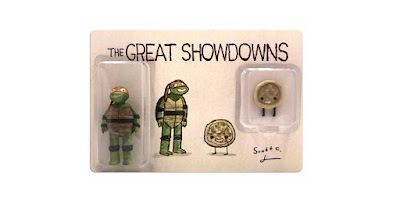 The New York Comic Con 2018 Exclusive The Great Showdowns Teenage Mutant Ninja Turtles Resin Figure Set by Scott C includes two hand cast and hand painted resin figures on a full color blister card signed by the artist. 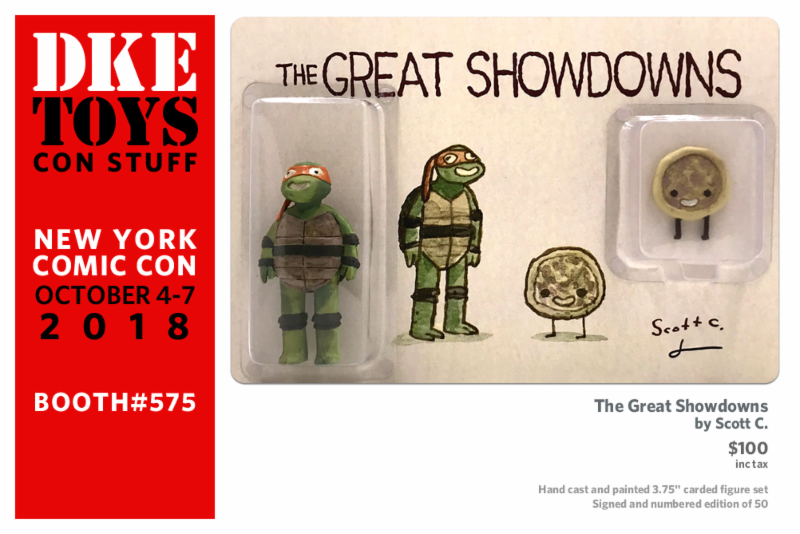 Limited to just 50 sets, collectors can purchase this limited edition exclusive at the DKE Toys NYCC booth #575 for $100.